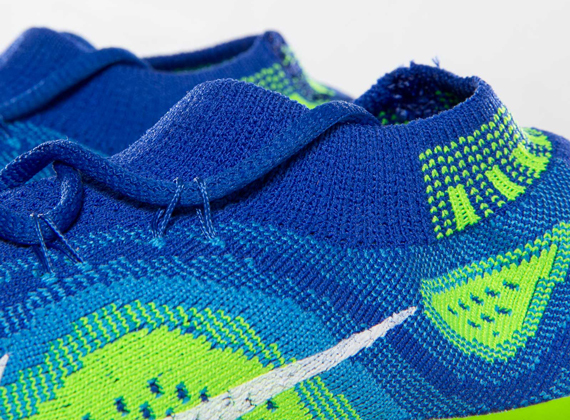 The ladies are treated to a new look for Nike's latest innovation in the Free Flyknit runner. 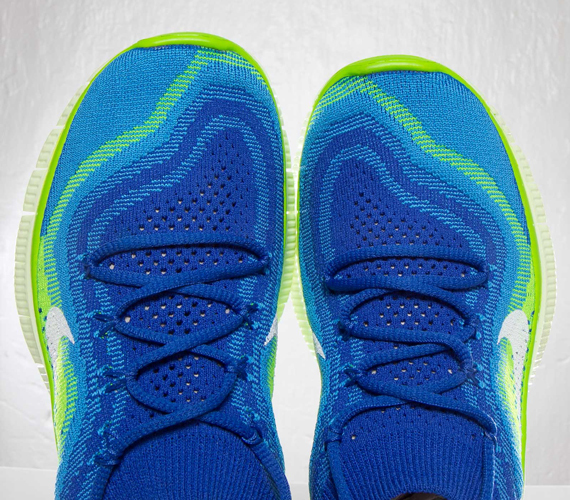 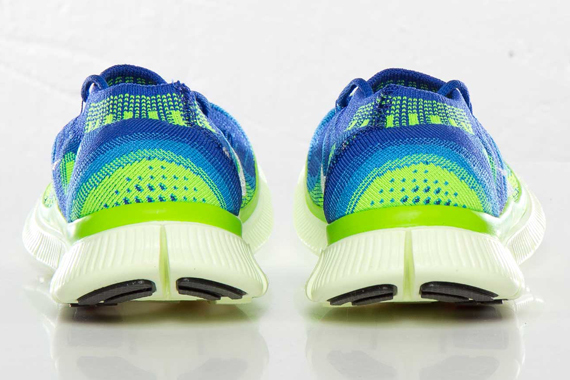 The new look runner by Nike combines two of their most successful performance innovations, utilzing a full Flyknitted upper over a 5.0 Free tooling. 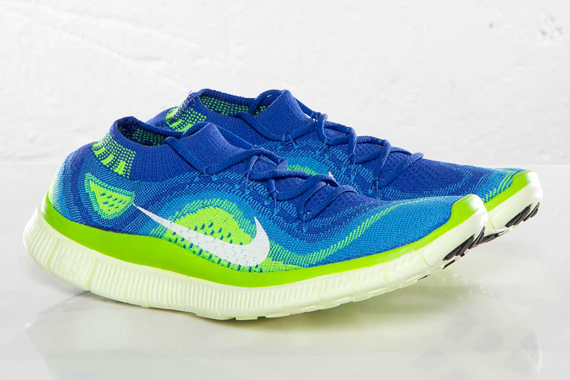 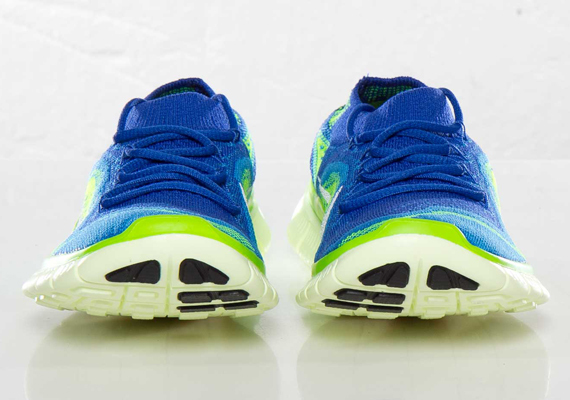 A Sprite-like combination of game royal, blue hero and electric green joins forces throughout the upper, while an off white hue covers the comfort-driven Free sole. 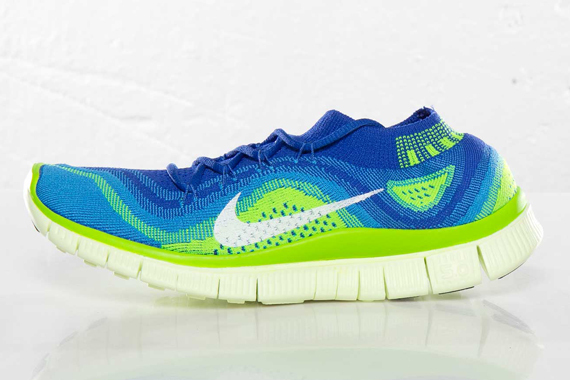 This latest Free Flyknit for the ladies is now available online via SNS, and is expected to land stateside soon.